The full examination is the most important appointment of all: not only does it allow us to get the full picture of the patient’s dental health, but it is also the occasion to create a professional relationship based on trust. The clinical aspect of dentistry is just one part of the well-being: making the patient feel positive, at ease and secure is the best way to ensure that all the conditions will be met for the patient to have a good experience and therefore take care of his or her dental health. A full examination lasts between 60 and 90 minutes, includes the filling of a medical questionnaire and is divided in two parts. The first one is the regular hygiene therapy, and the second one is the examination itself. 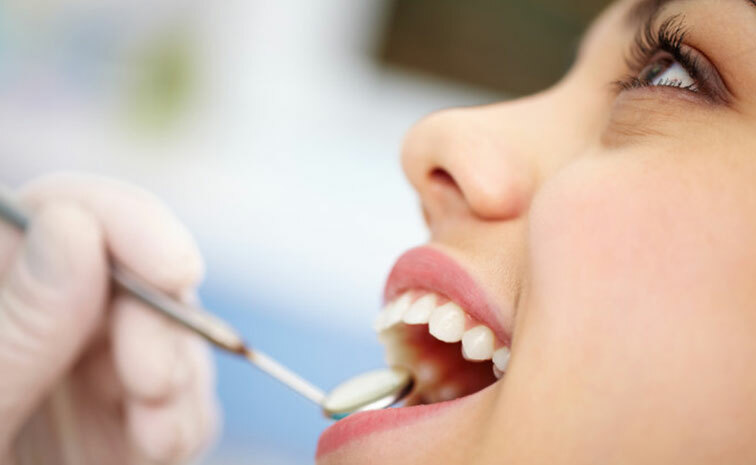 The latter is performed by the dentist and its goal is to detect any disease or condition at the earliest stage so that it can be treated easily and affordably. An examination has four parts. The first one has to do with the tissues that support the teeth: examining the bones, the roots and the gums is essential since they are all highly involved in your mouth’s health. The second part deals with the teeth themselves and seeks to evaluate their general condition, the past restorations or replacements they have undergone and the risks they could currently be facing. The third part of the examination looks at the functions of the masticatory system that is involved in basic activities such as eating. The last component of the full examination is the esthetic one: last but not least, this is where the dentist evaluates the shape, the colour and the position of the patient’s teeth.